All UDFs must extend "org.apache.pig.EvalFunc"
All functions must override the "exec" method. Let's see an example of a simple EVAL Function to convert the provided string to uppercase. 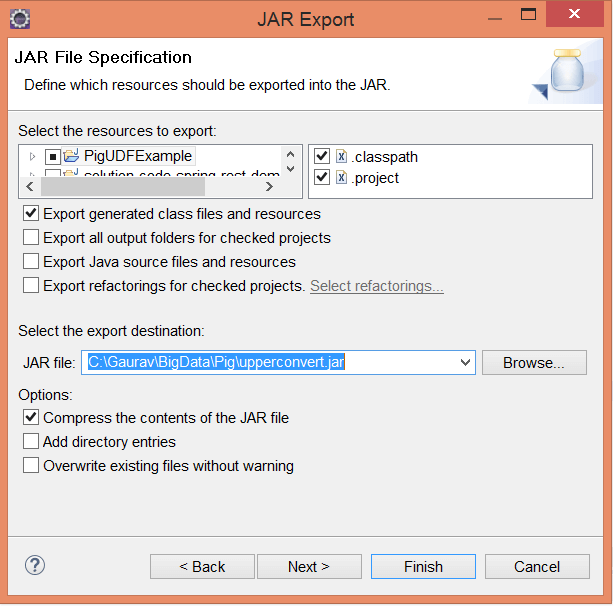 Create the jar file and export it into the specific directory. 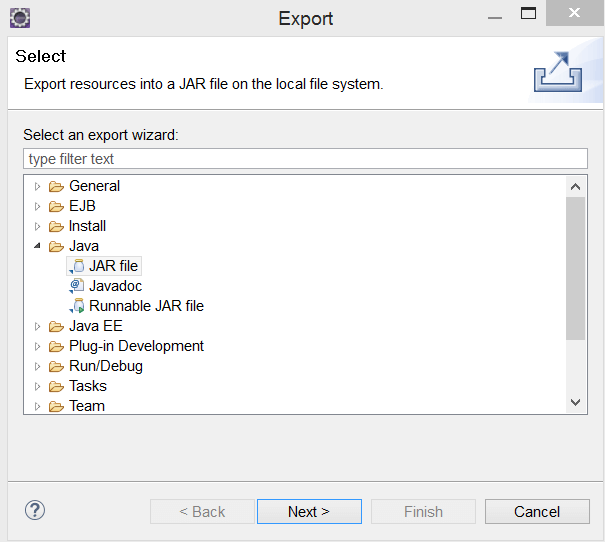 For that ,right click on project - Export - Java - JAR file - Next. Now, provide a specific name to the jar file and save it in a local system directory. Create a pig file in your local machine and write the script. Now, run the script in the terminal to get the output.